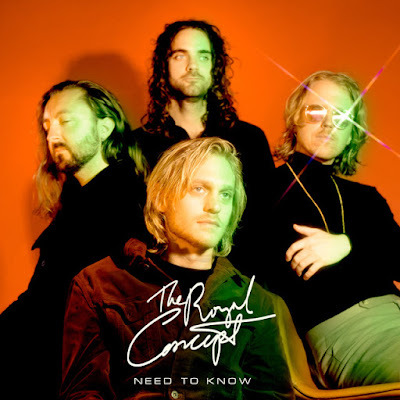 Swedish indie-pop band The Royal Concept are back with a gorgeous new single titled Need To Know. The 3-year long break was well worth it as Need To Know is a highly infectious piece of indie-pop music with killer harmonies and groovy melodies. The track perfectly blends melancholy with the warm California rock sound packed with shimmering guitars and lovely vocal harmonies. To make things even better the guys deliver a powerful guitar solo that kept me going back to it several times. Need To Know has all the makings of a summer hit and the guys have shared its psych-infused visuals, directed by William Hedegärd and Nils Esping, which you can watch below! We wrote the song whilst renting a house in a Russian residential area in Glendale, California. It is the result of cheap Trader Joe’s wine and new bought gear from Guitar Center, which we conveniently returned back before our flight bak to Sweden.